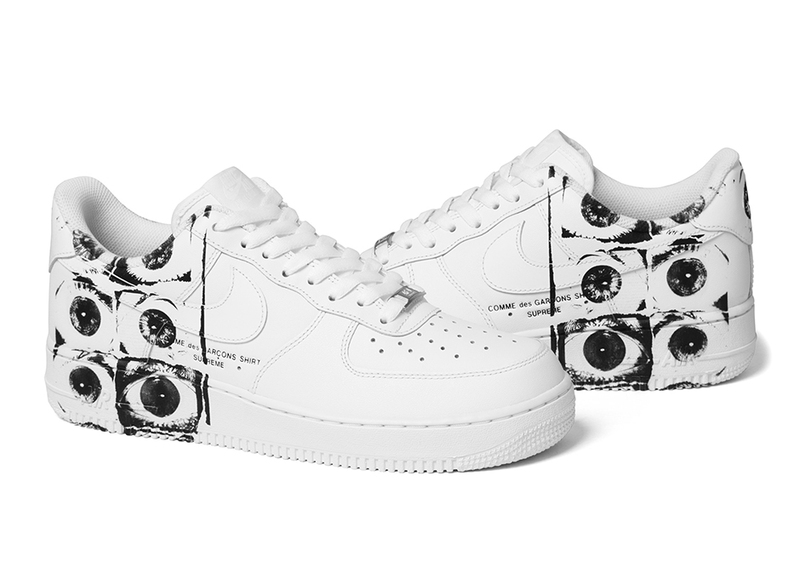 The much anticipated Supreme X Comme des Garcons SHIRT X Air Force one collaboration has finally dropped. The Air Force one low is the final addition to the three-way collaboration which launched just a few weeks ago. 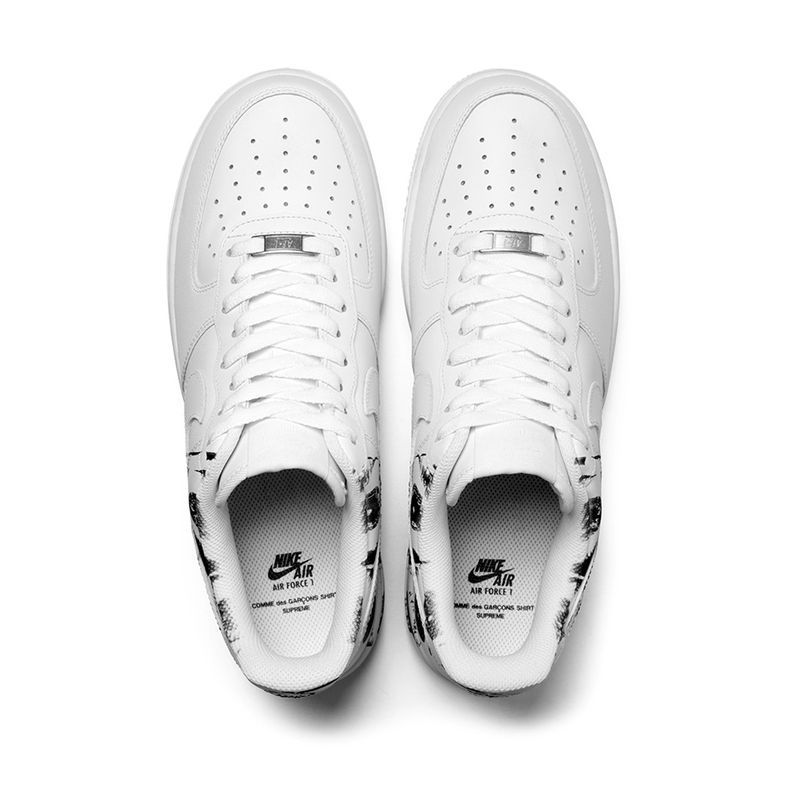 The sneaker features a white leather upper with custom graphics screen printed onto the heel and mid sections of the shoe. The print features the eyeball motif which can be seen across various pieces within the collection and was inspired by Veronika Georgieva’s set of adverts for the Comme des Garcons SHIRT Spring/Summer ’10 campaign. 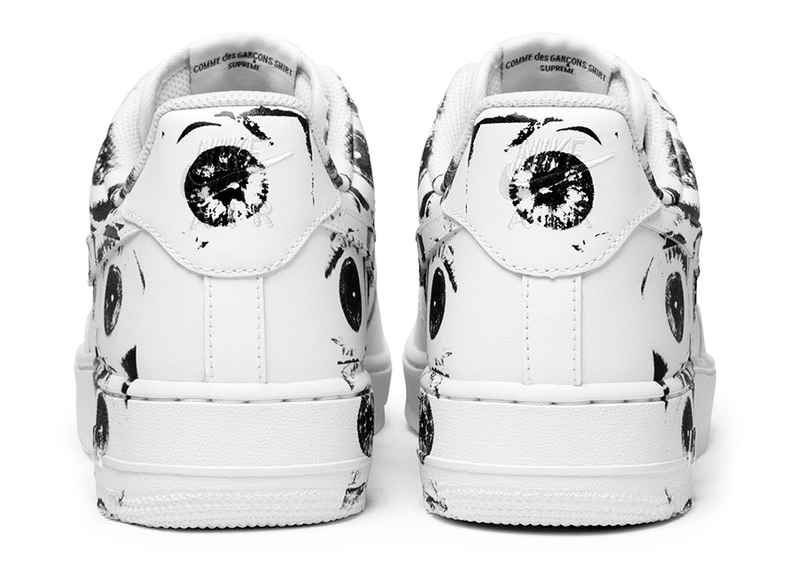 A full-length Air unit sits underneath the graphics and ‘Supreme X Comme des Garcons’ branding appears within the pattern to enhance the collaborative feel. Released May 18th on Supreme’s online store in Europe and U.S.